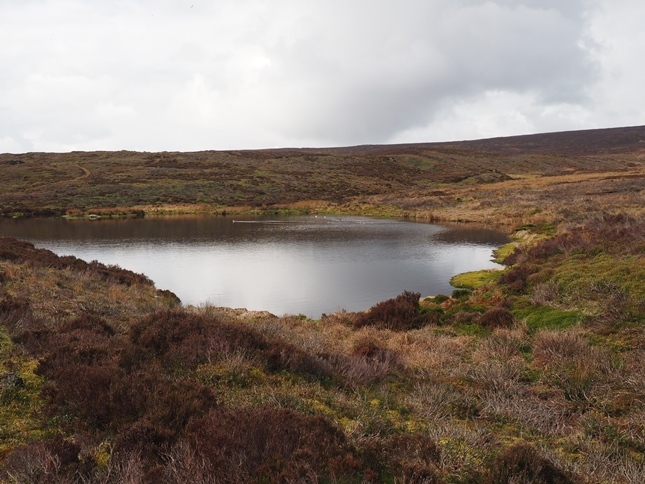 Gill Beck Head Reservoir is a tiny moorland reservoir that is found on the slopes of Thorpe Fell overlooking Wharfedale. The reservoir is not actually named on any map that I can find. It seems to regulate the flow of Gill Beck and sits below Gill Beck Head so I think that the name Gill Beck Head Reservoir makes sense. What the wider purpose of the reservoir is I don’t know. 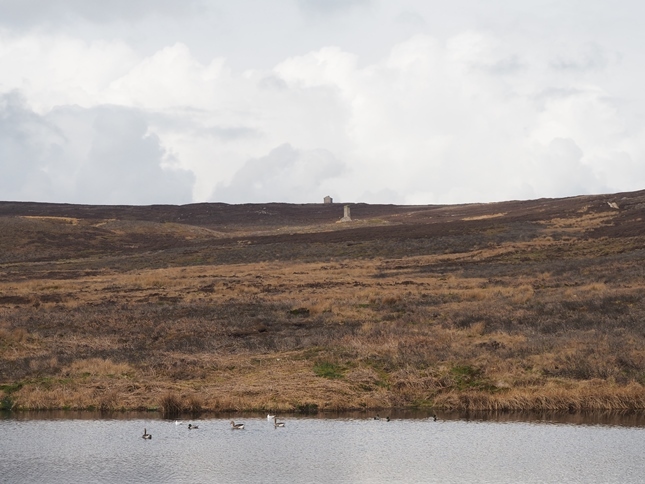 Is it linked to the ruins of the chimney that sits on the moor above? Or does it have something to do with the two much larger Barden Reservoirs? 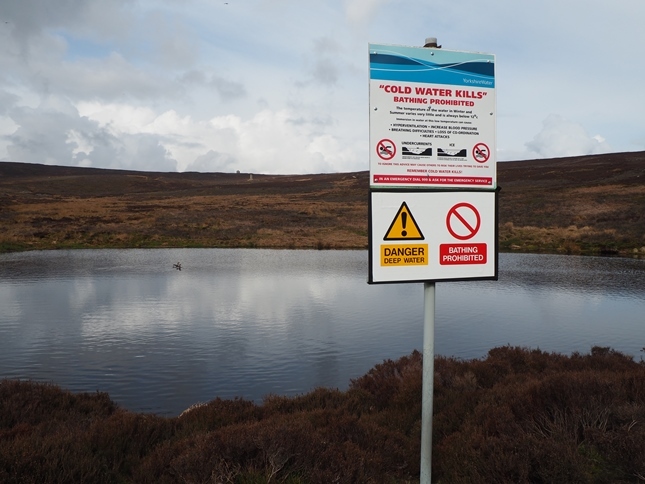 It is definitely maintained by Yorkshire Water as can been by the sign warning against bathing in the reservoir. Whatever its use it is a pretty little tarn-like sheet of water. On my last visit it was also quite popular with gulls, geese and ducks. 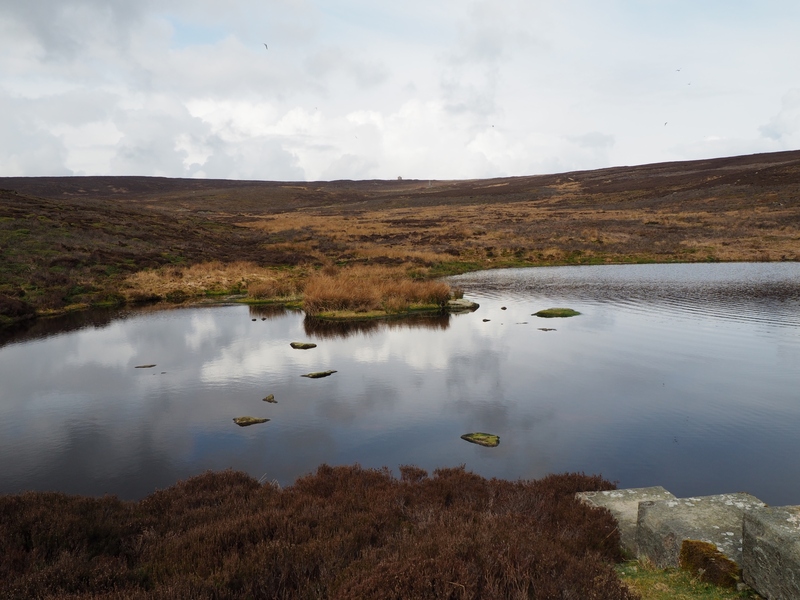 The easiest way to reach Gill Beck Head Reservoir is to take the track around the eastern side of Thorpe Fell from just above the dam of Upper Barden Reservoir.